Nissan has announced that it will invest $9.52 billion into a joint venture undertaken by China’s state-owned Dongfeng Motor Group. The billion dollar investment will give Nissan the leeway to introduce over 20 electric car models into the world’s largest market by 2022, reports Nikkei Asian Review. The automaker’s announcement follows similar efforts in China by Toyota and Honda. 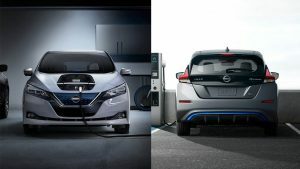 The goal is to introduce a total of over 40 models, half of which will be electric vehicles that include those driven by Nissan’s ‘e-power’ power train. The Nikkei reports that by 2019, a total of six models will be introduced under the brands of Nissan, Dongfeng Motor’s Venucia and Dongfeng Motor Group. The joint venture aims to raise the ratio of electric vehicles in its lineup to 30% by 2022. The ratio of electric vehicles under the Infiniti luxury brand will likewise be increased to 25% by 2025 and 100% by 2025. Nissan’s billion dollar investment will be streamlined into advanced manufacturing, research and development, and environmental measures, with a focus on electric vehicles. The new cars will have upgraded safety features that employ cameras, sensors and information technology. Monday’s announcement also included plans to introduce Level 1 and Level 2 autonomous driving systems in 2019. The former assists acceleration, braking and steering, while the latter controls these operations, but still requires some driver attention. The Venucia will feature a ‘connected car’ capability, which provides audio and video content, map data and other services through a mobile internet connection. The feature is believed to be popular among Chinese car owners and will be expanded to other brands later.